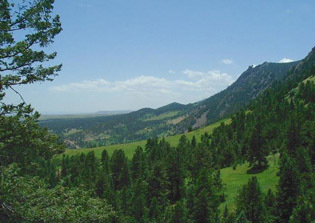 As General Chair it gives me great pleasure to welcome you to beautiful Boulder and the 4th ACM Conference on Embedded Networked Sensor Systems (SenSys 2006). In the short period since its inception in Los Angeles in 2003, SenSys has risen to become the leading forum for reporting on new, exciting, and technically important research in the field of sensor networks. There are many people who worked tirelessly behind the scenes over the last year to make this event first class. I've been very honored to work with a truly superb team who made my life considerably easier. Critical to the success of any technical program is the quality, dedication, and leadership of the technical program chairs. We are very fortunate to have Philippe Bonnet and John Heidemann at the helm of the committee this year. Philippe and John are a pleasure to work with and I thank them and their technical program committee for putting together a stellar program of high quality papers. Philippe and John will be presenting a best presentation award this year for the first time, emphasizing the importance of the delivery of a paper's content to SenSys. The best presentation award will be given at the end of the meeting, so look out for that. We are also very excited about our keynote speaker, David Carlson, who will kick off our conference. David is the director of the International Polar Year 2007-2008 International Program Office (IPO), and previously served as the director of the Atmospheric Technology Division of the US National Centre for Atmospheric Research (NCAR). When I was asked by the steering committee to be this year's general chair I knew I needed help to pull it off. And, as people know who have done this before, the key person for `pulling it off' is the local arrangements chair. I would like to unofficially make my local arrangements chair a co-general chair since in effect that is what he is. I offer my deep thanks to Rick Han for saving my life and for taking care of all the details that slipped through my fingers. People who have worked with Rick know this already - he is the best. Thanks Rick. Talking of details, I would like to thank Sam Madden as publication chair for dealing with the many details of putting the proceedings together. Sam's tireless work in dealing with all the paper, poster, and demo authors/chairs, and the publisher, is as testament to a great job done. Thanks very much Sam. Part of the SenSys culture is the demonstration of ideas and the informal presentation of work-in-progress each year at the meeting. This year we have a large set of demos (some people consider this the best part of SenSys!) and posters. We put people from Industry in charge of selecting what they thought is interesting and relevant to present in the demo and poster sessions. I would like to thank our demo chairs Chieh-Yih Wan and Jie Liu, and our poster chairs Henry Tirri and Robert Szewczyk for doing a terrific job and for keeping the spirit of SenSys alive. Another critical task of SenSys is making sure we come in on, or very near, budget. I really enjoyed working with Tarek Abdelzaher as our finance chair. Tarek developed and managed the budget and kept me in check, forgive the pun. I thought our publicity chairs Wei Ye and Cormac Sreenan did a splendid job at getting the various calls out for the meeting and would like to express my gratitude to them. If you like the novel design of our website then you should thank our web chair Mark Hansen who did a great job. Akos Ledecz did an outstanding job handling registration this year too. Thanks Akos. Due to the sterling efforts of Injong Rhee as sponsorship chair and Haiyun Luo as travel awards chair we have attracted a large number of industrial sponsors, and with the support of NSF (thanks Guru) we are bringing a number of graduate students to SenSys this year that would most likely not have been able to attend without this support. I would therefore like to thank our corporate and government supporters who have the foresight to invest and support this important conference. Thanks to Crossbow, Intel, ISTS, Microsoft Research, Moteiv, NCAR, Nokia, and NSF for their very kind support. Haiyun Luo put together a travel awards committee that includes Nirupama Bulusu, Deepak Ganesan, Shivakant Mishra, and Sergio Servetto. Thanks all. I would also like to thank the ACM SIGs that contributed their financial, individual, and technical support giving SenSys its interdisciplinary roots. Thanks to SIGCOMM, SIGMOBILE, SIGARCH, SIGOPS, SIGMETRICS, and SIGBED. From my note it's clear that many people volunteer their time and energy and work in a dedicated fashion to pull everything together each year, including our very supportive steering committee members led by Deborah Estrin. But, the success of SenSys is mainly due to the hard work of all those people who submit papers, demos, and posters to the conference. We thank you all. One behalf of the whole team welcome to Boulder and enjoy the conference!